The prospect of eating cake warrants its own special occasion but the actual selection of the right type of cake is no average feat. 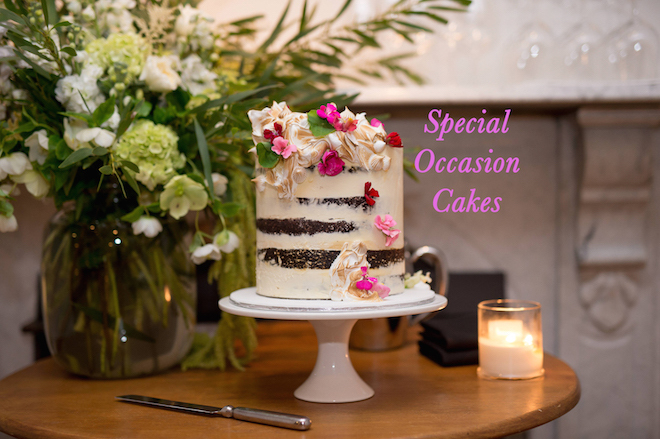 Whether you’re looking for something for your wedding day, a birthday party, christening, engagement party or just something special to bring to an afternoon tea or dinner, we’ve rounded up some of our favourite special occasion cakes and where to find them in Melbourne to make the selection easier for you. The criteria has been based on quality, cake flavour and value. We will continue to add to this piece, so please let us know where you buy your favourite special occasion cakes in Melbourne, and if you’d like to see them added here. Thank you to Amelia Harris for contributing to this piece with me. Another Melbourne institution, Monarch Cakes has stood the test of time, a stand out amongst some of its neighbouring bakery counterparts on Acland Street. My family and I have been buying cakes and sweet treats from Monarch since my sister and I were in primary school. Their range of whole cakes, mini cakes and slices are all absolute classics and can even be ordered and posted to you via their online order form! (what an age to be alive). Various locations including South Yarra, Brighton and Melbourne City. Laurent has been tantalising Melbourne with their sweet treats since the early 90s. With locations everywhere around the city, it’s a very convenient spot (particularly if you work in the CBD) to pick up a cake for dinner or a last minute birthday. Like many bakeries, Laurent offers specialty individual desserts and pastries, like their jam doughnuts (very decadent), and their eclairs (a favourite of mine). Shokuiku (shokuiku.life@gmail.com) – organic, raw, gluten, refined sugar/ or agave free. Nut and sugar free options also available. Note: For lemon tarts, try Phillippa’s, or Tartine. For Tiramisu, Albert Park Deli do an amazing version and are able to cater.